Before we actually watch it happen, it’s always so hard to imagine the Patriots losing, isn’t it? It’s rare enough, especially in a big game setting, that our minds seem to forget the experience and what it was like, as if it was a traumatic event in the past that has been blocked out. Logically we know it’s a possibility. But it never feels like a probability, so New England starts every game with some tacitly understood advantage. But a Patriots loss very well could happen in Super Bowl LII, and the Eagles are the kind of team that could pull off the upset and make us realize after the fact that it was obvious all along. For one, Philadelphia’s defensive line can be dominant, and we’ve seen what can happen to New England in Super Bowls when its offensive line gets whipped for four quarters. Things can get rather ugly rather fast, and Tom Brady in a messy pocket tends to look downright mortal. Just ask Justin Tuck and his New York Giants cohorts. And it’s not just the critical element of pass pressure that the Eagles defense needs to have in endless supply on Super Bowl Sunday. 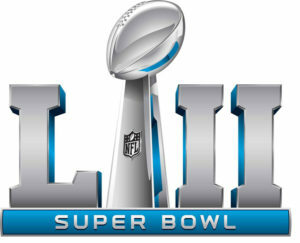 The Patriots are going to get their yards and their points, but Philadelphia needs to make them earn every one of them, giving up nothing cheap or easy, and forcing New England to take bite-sized chunks all game long, rather than ripping off a back-breaking big play. The Patriots offense is known for its ability to patiently wait for the other team to make a mistake, and then it capitalizes. 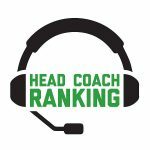 But if the Eagles defense can play a disciplined and equally patient game itself, keeping the New England pass catchers in front of them, it might force the Patriots offense to play near-perfect and grow frustrated at its lack of being able to exploit and attack Philadelphia’s weak spots. If New England’s running backs — Dion Lewis, James White and Rex Burkhead — create consistent impact in the passing game, that’s when the Patriots offense is at its best and most versatile. The Eagles defense can’t shut that down completely, but they can prioritize containment, and making sure the yards after catch factor doesn’t overwhelmingly favor New England. Swift and sure tackling will be the key for the Eagles, because Brady will try to beat the pass rush by getting the ball out quickly and picking Philadelphia apart in the underneath and intermediate portions of the field. On the surface, it sounds silly to suggest Eagles backup quarterback Nick Foles, who didn’t even play this season until December, can go toe-to-toe with Brady and come out a winner. Same for the coaching matchup of the experienced master, Bill Belichick against the relative novice, Doug Pederson. But Philadelphia’s 15 wins this season have included no flukes, and by and large the NFC was the stronger and deeper conference in 2017, meaning the Eagles have been tested and answered almost every challenge. This clearly will be their biggest of all, but nothing indicates they’ll back down from it and whither beneath the spotlight. The rest of the football world may not be able to comprehend Foles playing well enough to take the big confetti shower late Sunday night, but the Eagles believe in him, and he now believes he belongs after playing one of the best games of his career in Philly’s 38-7 blowout of the Vikings in the NFC title game, when the ball never touched the ground on his final 15 passes. Like Jeff Hostetler 27 years ago, Foles doesn’t have a backup’s temperament and he’s blissfully unaware of his perceived limitations. The Patriots play nothing but tight, taut Super Bowls and this one will be no exception. But the quest for a sixth ring will be a struggle for New England in U.S. Bank Stadium, and it’ll need every bit of its legendary calm and cool in crunch time, executing in every key situation. It happened just that way in Houston last season, when the Patriots fell behind 28-3 but never blinked against the Falcons. But this Eagles team is better and more resilient than those Birds. And with or without Carson Wentz, their DNA is to find a way to win. The journey hasn’t always been smooth, but in the end, Philadelphia never lost sight of the destination and will experience its own version of a miracle in Minnesota — the first Super Bowl title in franchise history. Andy Reid’s current team, Kansas City, handed the Patriots a defeat in the NFL’s first game of the season, and his former team, the Eagles, will do the same in the last game of the season. Winner — Philadelphia 24, New England 23. * Last week’s picks: 1-1 (.500); Season: 63-27 (.700).